This slab of a steel smashed a plug. 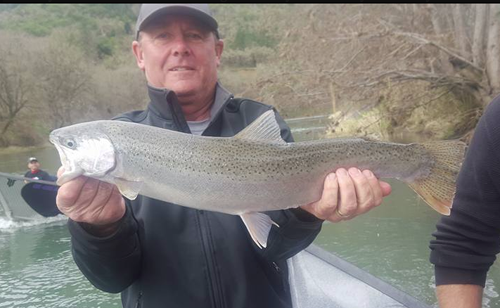 I have been fishing the Klamath River the past few weeks and the fishing has been really decent but it went from good to great in a single day. 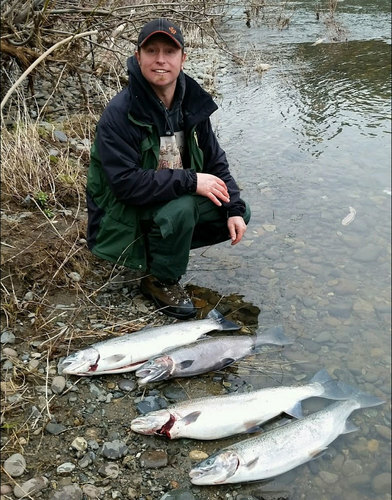 The salmon spawn is officially underway, and the steelhead are hanging out close by for an easy meal. We are finding plenty of fish in the riffles and spawning beds. We are spending most of our time back trolling plugs, and side drifting yarn and bait. 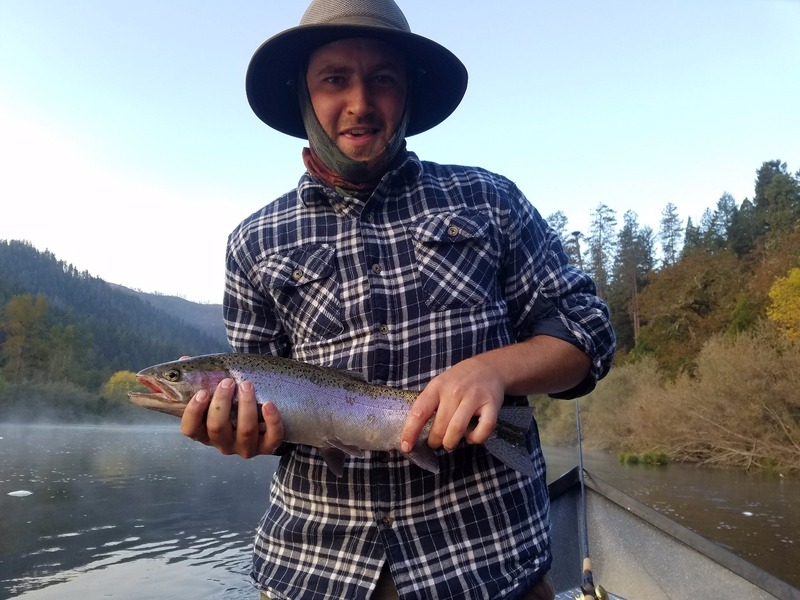 The catches consisted of steelhead and salmon and most days we saw fish to hand numbers between 10 and 20 per guide boat. 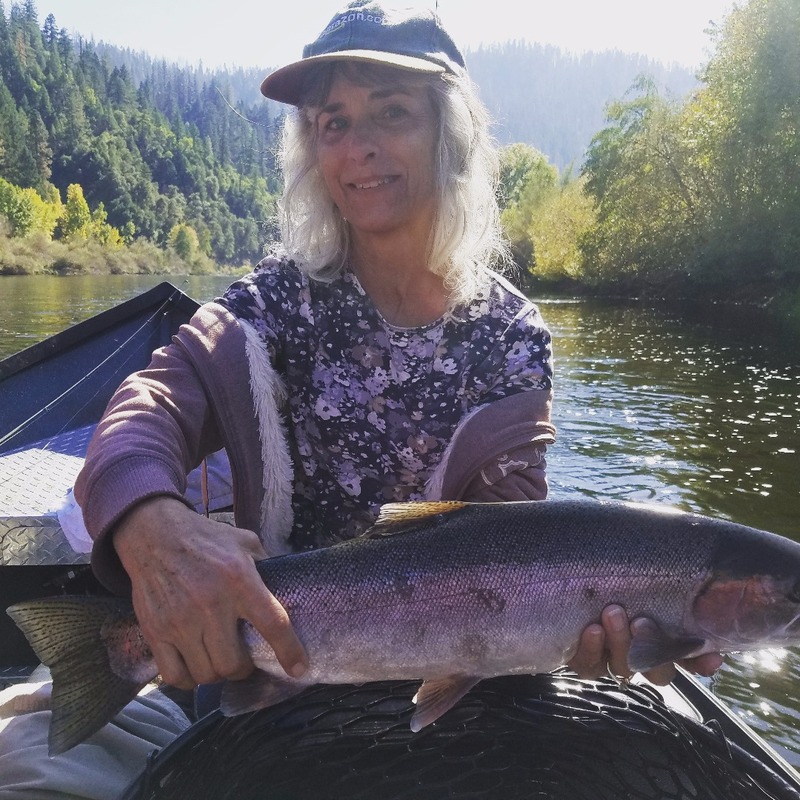 The fall fishing on the Klamath River is something you really have to see to believe, its hands down the best fishing you can find in the lower 48. 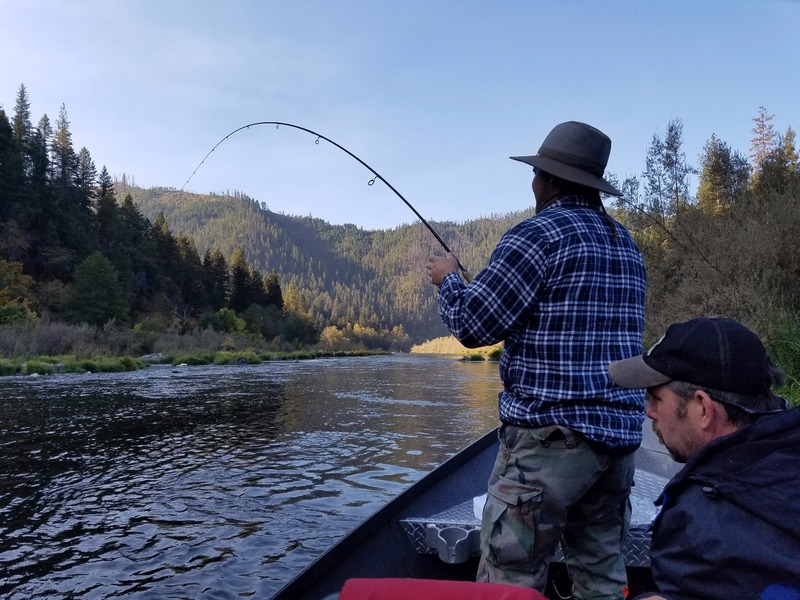 The fish are not trophy size but the action sets the famous Klamath River apart from the alternatives. If you want to get off the grid and catch some fish get a hold of me.